Apparently, the homeless can use "hoboglyphics" (symbols made of chalk or charcoal) to communicate police activity, guard dogs, etc. Similar symbols cropped up in the UK as the "Da Pinchi Code" used by robbers to signify wealthy targets, nervous homeowners, etc. The above inspired what gave me the idea for this thread. 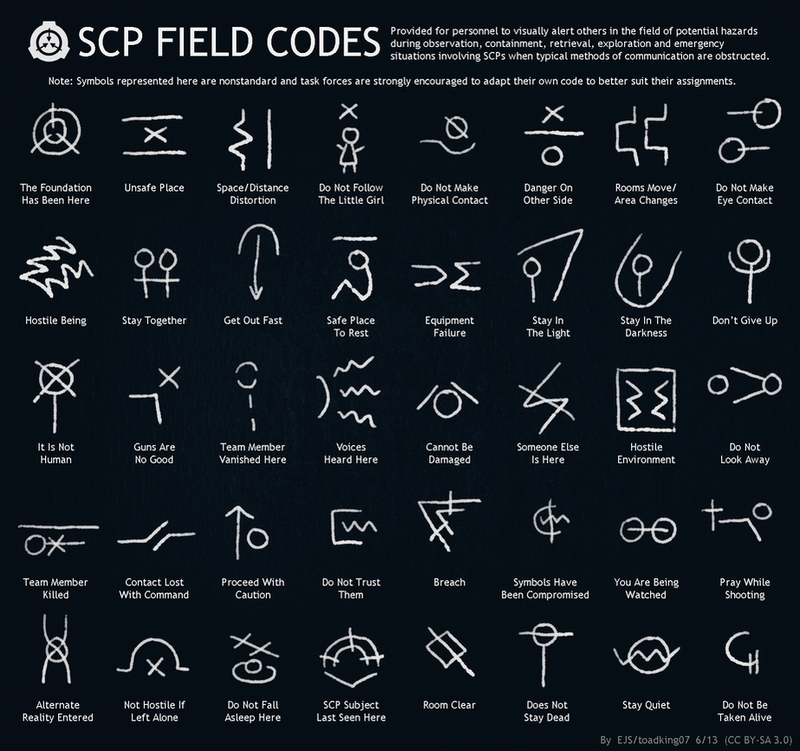 The above are an idea for "field codes" to be used by SCP Foundation agents. The SCP Foundation finds and contains anomalies and anomalous objects, usually through the use of agent task forces. Imagine if there was a "tactical symbols" research or something that let Strategy Mode squads do something similar? Basically, the player would be able to have symbols made to communicate with squads. This is particularly important when a panic or demoralization has led to the player losing control of a squad, and an EMP or something means advanced communication can't be used.